Real estate experts are expecting a massive bump in population within Fort St. John in the coming years—especially if and when the Site C dam along the Peace River begins construction. In fact, the city has already applied to have city boundaries to accommodate the expected increase in population. Once construction of the Site C dam is underway, you may want to consider cashing in on any real estate investments you may have in the city. After all, people moving into the city will be looking for homes for sale, right? Unfortunately, every person in the city with extra properties will be thinking the same thing. It’s easy to overprice a home, especially if it has some sort of sentimental value to you—but this is a mistake you should avoid. No one wants to buy a home that is significantly more expensive than other homes in the market with similar floor area, lot area, and features. To avoid this, you may want to have your REALTOR® conduct a home evaluation on similar homes for sale in Fort St. John, BC. This way, you can set a fair price for your home. When showing your home to prospective buyers, do your best to present your home as move-in-ready as possible. Remove any personal items such as family photos and clean any clutter from the floors. This allows buyers to see your property as a place they can potentially call their own, and assures them that they can move in as soon as they purchase the property. Buyers are always looking for a sweet deal. This is especially true for those looking to purchase something as large as a home. You may want to try to offer extra perks, like transferrable home insurance or shouldering a fraction of the closing costs, to entice buyers into choosing your home over other homes for sale. According to a report from EnergeticCity.ca, the latest B.C. Northern Real Estate Board Housing Affordability Indicator report shows that home ownership in Fort St. John, BC is still much more affordable when compared to other cities in British Columbia. At a median of $416,000, houses within Fort St. John are still significantly cheaper than the houses in Vancouver. With houses going for affordable prices, alongside the fact that Fort St. John is a lively and entertaining city in its own right, you can be sure that there are many people looking to buy a home in the city. If you are planning to become a homeowner in the city, you’d better start looking at beautiful Fort St. John homes for sale immediately, or risk missing out on your dream home. When one of the many homes for sale has finally caught your eye, you’ll want an experienced REALTOR® like Scott Sauer to conduct a thorough market analysis on similar homes. Knowing how much similar homes in the area are selling for can be a powerful piece of information when you reach the negotiating table. Similarly, you can get a good idea if the seller’s asking price is a fair deal or not. Would you buy a used car without checking under the hood and taking it out for a test drive? You probably wouldn’t do that, right? The same logic applies to buying homes for sale in Fort St. John, BC. Before you buy a house, always have the house professionally inspected. An experienced home inspector can help you discover any problems with a particular home. When the inspection is completed the inspector will review and explain the report in detail to you. With this detailed knowledge of the condition of your new home, you can buy with confidence and security. If there are problems with the home as a buyer you have four options. 1) Buy the home because it is a great house in outstanding condition. 2) Ask the seller to repair the problems. 3) Ask the seller to reduce the price to cover the expense of repairing the home. Don’t forget that you’re buying more than just the house you’re looking at; you’re also buying into the neighbourhood. Take the time to talk to your potential neighbours to get a good idea of what it’d be like to live in the area. Ask questions regarding safety, traffic conditions, and other factors that you believe to be important in your place of residence. Looking to invest in the real estate market? For prospective real estate investors in Canada, Fort St. John is definitely the place to be. North Eastern British Columbia’s major service centre is rife with mega projects at its doorstep, such as the liquefied natural gas (LNG) from shale gas in the Horn River Basin, Site C Hydro Dam, and the gas collection and processing structures in Liard Basin and Montney field. Indeed, Fort St. John is blessed in resources, and investors are lining up. 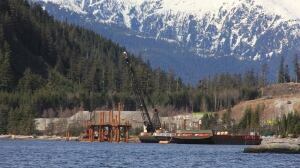 Four LNG export facilities are expected to be built in northwest BC. The first of them is a $36 billion LNG export terminal at Prince Rupert, a project helmed by Malaysia-based gas giant Petronas, along with its subsidiary Pacific NorthWest LNG. With massive projects popping up left and right, people are starting to move into the Fort St. John community at a speedy pace. Workers transferring into the city need accommodation, and the real estate market is the first order of business for most of these professionals. Housing will have to keep up with demand, which can cause house prices to rise even more. According to stats released by the B.C. Northern Real Estate, homes in Fort St. John cost over $400,000 on average in 2014. From January to October last year, homes for sale in Fort St. John, BC averaged a whopping $414,445, yielding a $43,710 increase from the previous year’s rate during the same period. Petronas wants its Prince Rupert facility in operation by 2019. An expected offshoot of this is that housing prices in Fort St. John are going to skyrocket. Those who would like to own a piece of property in the area should therefore realize that now’s the time to invest in homes for sale in Fort St. John, BC. Potential investors stand to benefit the most from working with prolific a REALTOR® like Scott Sauer. Real estate agents such as he have honed their craft from many years of experience in the business, so they’ll know what to expect and how to navigate the Fort St. John real estate market adeptly. They’ll also know the area you’re interested in like the back of their hand. Suffice it to say, these agents will be armed with the expertise you need to help you get the best price for the properties you’re looking to invest in. Late last week, the Ministry of Agriculture announced that these three people – a retired farmer, a rancher and a bookkeeper – would join the Agricultural Land Commission’s North panel. Previously, one large ALC panel made all the decisions. Now, there are six regional boards, and some of the people who previously served on the big ALC panel have gone to these other panels. However, all of the three panellists in the North are new to the ALC. B.C. Agriculture Minister Norm Letnick said that the province’s Board Resourcing and Development Office chose the panellists around the province from over 100 applicants. Of course, even if it has expansive lands for forestry and agricultural opportunities, Fort St. John won’t be called the “Energetic City” or “BC’s Energy Capital” without its prosperous oil and gas industry. Abundant in shale gas supply, the region has been touted as a centre for drilling. Its future looks even more lucrative with the extraction and export of liquefied natural gas (LNG) to Asian markets. The approval of the Site C Dam construction project will help supply power for the provinces industrial projects and booming population growth. The industrial growth in the area fuels its thriving real estate market, and homes are getting sold to prospective residents and investors quickly. Together with a healthy economic condition, local infrastructure improvements also encourage more individuals and families to move to the city. To avoid limited supplies or high prices, new residential developments are expected. If you need help finding homes for sale in Fort St. John, BC that you can flip or where you can settle down if you work or run a business in the region, talk to an experienced agent like Scott Sauer. As a REALTOR®, he can provide you a wide range of options. Aside from residential properties, he also has plenty of resources to assist you in looking for farms or homes on acreages and other recreational properties in the area. 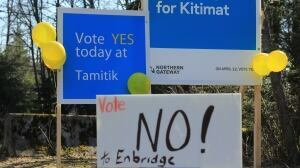 The oil and gas rush continues around Fort St. John. Land sales over rights to oil and gas deposits totaled $43 million, signifying the continuation of the massive oil and gas exploration in the area. Some of the key parcels of the August 2014 sale included drilling licenses in the Buick Creek and Flatrock regions. If successful, petroleum companies can have exclusive rights over vast oil and gas fields for several years. Fort St. John is considered the heart of British Columbia's oil and gas industry, according to the BC Oil and Gas Commission. Past geographical surveys and petroleum explorations have used the area as a basis for estimating the province's oil and gas reserves. Nominal reserves record roughly four quadrillion cubic feet, but gas-in-place is two-thirds of that amount. Exploration and development of the new leases will surely fuel the job market, as bringing a well into service can take years to complete. Workers from all corners of the country are flocking to this vibrant cominity and enjoying the high quality of life Fort St John offers. The duration of the oil and gas hunt with such massive reserves will not end any time soon. The wages far exceed most jobs in the south of the provice. Homebuyers should look to a REALTOR® like Scott Sauer for quality homes for sale in Fort St. John, BC. With business booming in this quaint city, those moving in for work could certainly use some help from professionals knowledgeable in the local area. Completing a real estate transaction involves four steps: consultation, advice, negotiation, and supervision of all the closing details. The first step is to call Scott toll free 1-855-585-1515 or text 1-250-794-1515 and tell Scott what kind of home you would like to own. He'll work his expertise, namely ten years of real estate experience, to help you buy your dream home without any hitches. He can even seek assistance from his connections in other industries to further expedite the completion of transaction. Scott will also explain your options in buying a particular house. Listing prices don't mean selling prices; a thorough review of the property will provide you with the necessary info to negotiate the price. Once the contract has been made and signed, Scott will still be by your side, guiding you throughout the post-purchase process. The real estate market is booming with average home prices increasing by about 10% to 12%, Scott will help you find good Fort St. John homes for sale. Aspiring homeowners in British Columbia who are trying to save a huge down payment might want to rethink their strategy, 5% down is all that is needed. In an article for Alaskan Highway News, reporter William Stodalka writes that the prices of homes for sale in BC continue to rise as supply becomes scarcer while demand increases. Fort St. John, in particular, owes the increasing property prices to the booming oil and gas industry, with surprisingly shocking results: In 2013 the average home increased in value by 10.3% according to BC Assessment. A huge, scary increase in house prices for first time buyers, but a savoury gain for investors. "The B.C. Northern Real Estate Board recently issued its annual affordable housing index. It indicated that the average home cost over $350,000, and that the percentage of household income when compared to the median income spent on homes was about 34.6 per cent. This year, homes continued to cost over $350,000, but the percentage of income was about 35 per cent. Fort St. John continued to remain the most expensive city to buy a home in northern B.C. on the list of 11 cities within the region." Such conditions can make quality homes for sale in Fort St. John, BC harder to acquire, especially for those in the median income level. All hope is not lost, though, because an experienced REALTOR® like Scott Sauer will help them buy a house before they get priced out of the market. A big part of this is working with a local mortgage specialists who, in turn can work out a payment plan that fits your budget. Scott Sauer not only has the appropriate skills and experience to manage a home purchase but can also provide useful insights on certain local factors that may affect real estate prices. I will explain why favourable economic conditions, similar to Fort St. John’s, is actually a mixed bag when looking at affordable housing. On one hand, a good economic outlook leads to more jobs, higher income levels, and more home construction activity—signs that a city is a good place to settle down and prosper. On the other hand, job creation leads to population growth, which in turn leads to a greater demand for homes and a consequent price increase once new construction can’t keep up with demand. At present, the Fort St John housing market is on pace to match last years price increases of 10%, with the increase set to occur in mid-2014. Consequently, this means that certain Fort St. John homes for sale worth $350,000 today may well cost at least $400,000 in just a few months. Fortunately, interested buyers can turn to a trusted and experienced REALTOR® like Scott Sauer who can help them purchase a dream home before the price sky rockets out of reach.